A while back, I had a conversation with a very good friend of mine on Facebook. She had shared a status that I wholeheartedly disagreed with and a short, but respectful debate followed. The status that she had shared – while I’m sure was well intended by the original poster- had basically made the statement that “if you’re poor, you’re poor and that there is no climbing out of that to get ahead of yourself so why even bother to try?.” While I understand how some might feel this way, looking at your personal budget and allowing yourself to get so far down that you can’t see a way out can actually do more damage to your finances than you might think. Yes, you read that right. 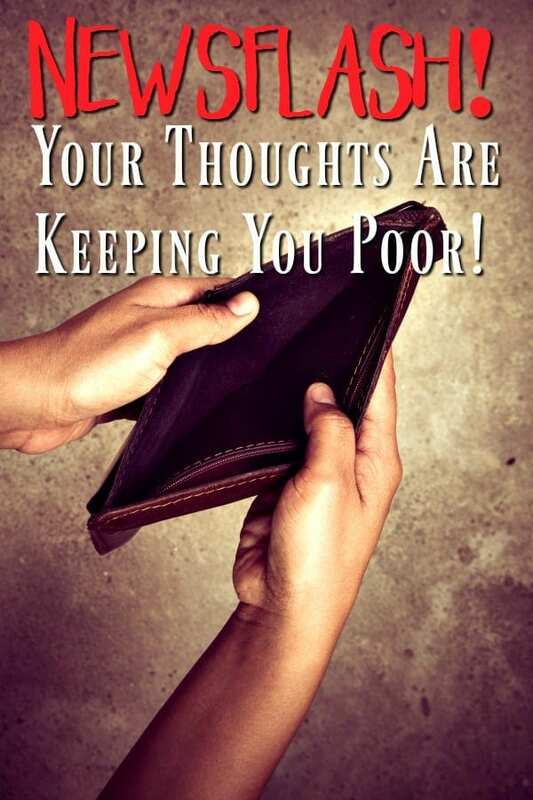 Your negative thoughts are keeping you poor. I very vividly remember a time in my life when I lived well below the poverty line and I’m not talking about the time that my daughter and I spent homeless. When she was born, I was on food stamps. When she was born, Medicaid paid for the hospital bills. When she was born, WIC bought her formula after we discovered that I couldn’t breastfeed. I bought gas for the car in quarters. I paid for diapers in pennies. My ex-husband and I ate “Kentucky Bologna” more often than we ate chicken or beef because it was only $0.99/lb at the time. We lived in HUD housing and when he was fired, we moved back in with his parents for the umpteeth time. We were evicted 11 times before my Emma was 2.5 years old. I get it. I really and truly do understand that sometimes there simply isn’t enough money. Don’t think that because I made six figures blogging in 2016 that I have forgotten where I come from. I remember knowing in my heart of hearts that things were never going to get better; knowing that I would always struggle; knowing that I wouldn’t never be able to provide Emma the life that I dreamed for her. I had allowed my situation to make me so depressed that even killing myself was too much work. Eventually, after I decided that I wanted and needed to live, I realized that I didn’t want to live that way anymore. It took a few years and two divorces, but eventually I realized one thing. I always had the power to pull myself out of the hole, but I had allowed my own thoughts to convince me otherwise. And because I was convinced, I didn’t even try. If you allow yourself to believe the doubts, to give into the fear; to stay in your current financial situation (if it is a bad one), you are – at the very least partially – to blame. Wow. Harsh, right? I know. I’ve been called a lot of things in my life, but delicate was never one of them. Am I saying that if your boss won’t pay you a livable wage that it’s your fault? Not completely. Can you control how much you’re paid? Of course not unless you’re self employed. Could you possibly go back to school, get a degree and get a better paying job? Yes. Am I saying that it’s your fault that you live paycheck to paycheck? Maybe. What have you done to stop living paycheck to paycheck? If you have done everything you can, then no, it likely isn’t your fault. Am I saying that you’re having financial trouble because you can’t find a job that it’s your fault? Absolutely not, but have you done everything you can to make yourself appealing to a prospective employer? Am I saying that sitting around and moaning about your situation or throwing yourself a pity party is likely making it worse? Yes. Yes I am. Those thoughts that you’re having – the ones telling you that it will never get better so why bother trying – will lead to you and your family staying stuck in the same place that you are right now. You won’t grow. Your personal budget will always be in trouble. You will never build wealth and you will likely work until the day you die since you have no retirement in place. You will allow your doubts and fears to convince you to stay sitting still in that same financial hole for the rest of your lie. To convince you to change your thoughts. To convince you to look at things differently. To help you change things. 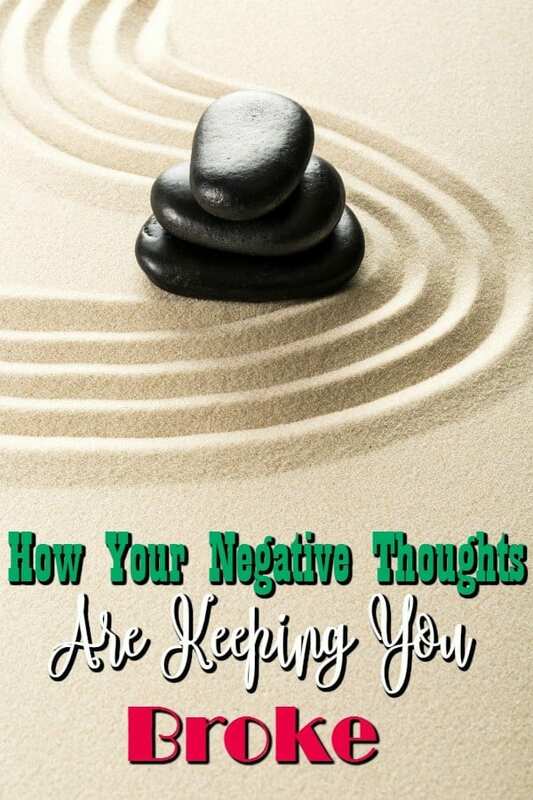 If you’re stuck in a rut full of negative thoughts, it’s time to do everything that you can to pull yourself out of the hole and away from those negative thoughts. If you don’t have a personal budget, take the time to create a budget that works for you and your family. Then, once you’ve got your personal budget created, take the time to update it as often as you need to. Learn how to figure out your net worth then use a site such as Personal Capital to maintain it. Once you’ve got a budget, go into frugal mode. Do everything that you can to cut your expenses. Find ways to save money on groceries and then find even more ways to save money on groceries by learning how to saving money on meat. Use money saving apps to save money when you shop in store. You can sign up for an Ibotta account and get a $10.00 free when you scan your receipts the first time. Sign up for a Checkout 51 account and get cashback on fresh fruits/veggies and more. Sign up for a Retale account and they’ll help you find deals. Shopping online? Sign up for Ebates to get cash back when you shop online. Not only that, but they’ll give you a free $10.00 gift card of your choice with your first purchase. Learn to make everything that you can so that you can stop buying things and make them homemade instead. We make so many of the items in our home. I make everything from homemade cleaner recipes to homemade beauty products and food. Find new uses for old things so that you can avoid buying something. There are quite a few ways to use old towels, ways to use old sheets, ways to use empty milk jugs, ways to use empty bottles and even ways to reuse newspaper that will all save you money. Don’t want to add too much on yourself at once? Check out these 52 things you can reuse to save money and work on one a week. Learn to cut your bills in other places too. There are plenty of ways you can save money on entertainment such as tv. You can even save money on your cell phone bill and get it down to as low as $20.00/mo with a cheap cell phone plan. Picking up a frugal book to learn something new will help too. Not only do I highly recommend that you read my book; Six Dollar Family: From Six Dollars to Six Figures; but I also recommend that you read the books on my list of recommended frugal living books. Each one can help you save in all areas of your life and by the time you read them all, you will be fully in control of your finances. Make sure that once you’ve put all of these into play that you actually stick to the budget you create. If at the end of all of your work, you still don’t have enough money to make ends meet, don’t give up. You only need to learn how to make extra money. You can find ways to earn free gift cards online. 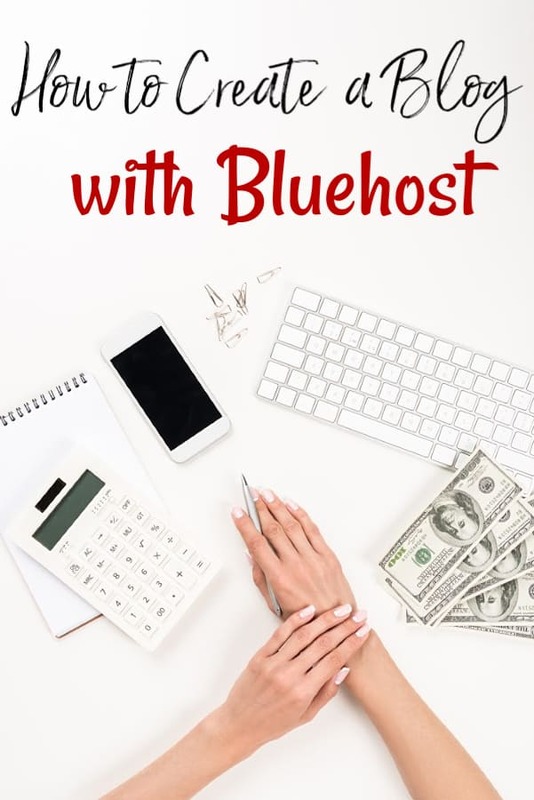 You could start a blog to work from home. You could take a side-job to earn extra money. When we were tight on money, I even came up with a daily system that earned me $225.00/mo or more extra money. I know; you don’t think you can crawl out from under the financial mountain that you’ve been living under. That’s okay. I know you can and I have faith in you.